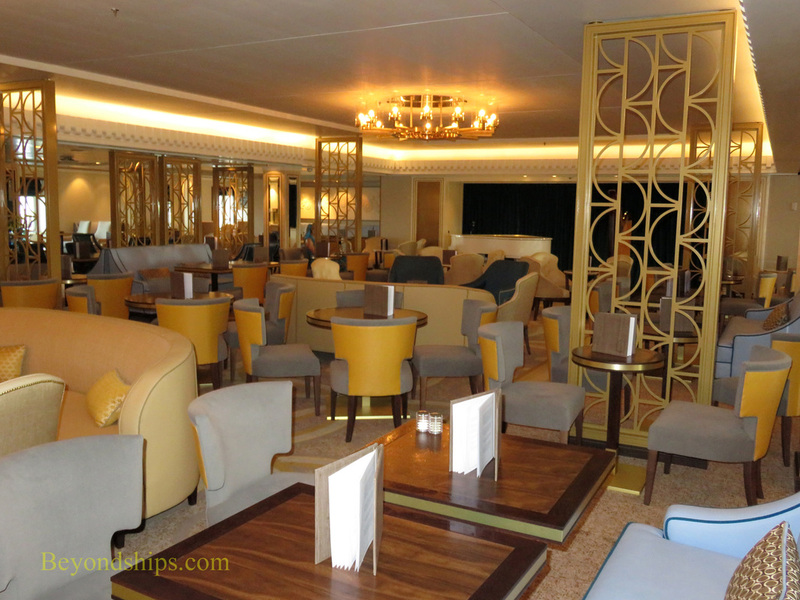 There are 14 bars and lounges on QM2, covering a variety of tastes. 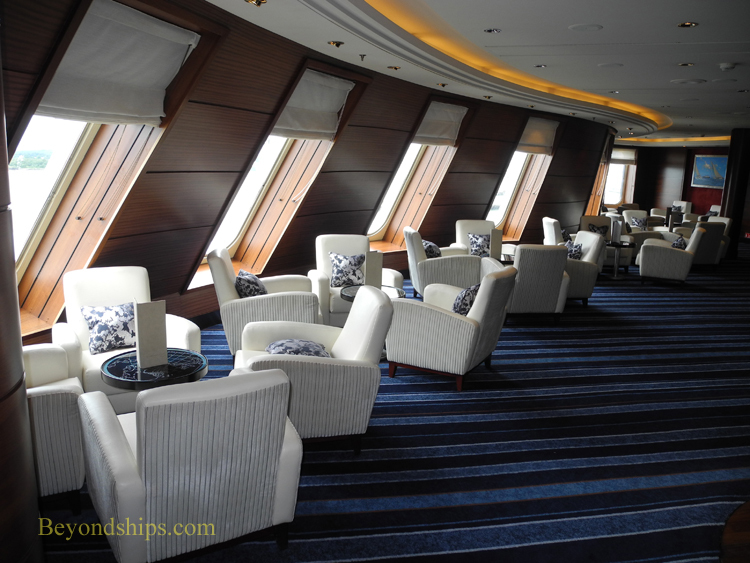 Perhaps the most popular is the Commodore Club located high on Deck 9 with views overlooking the front of the ship. 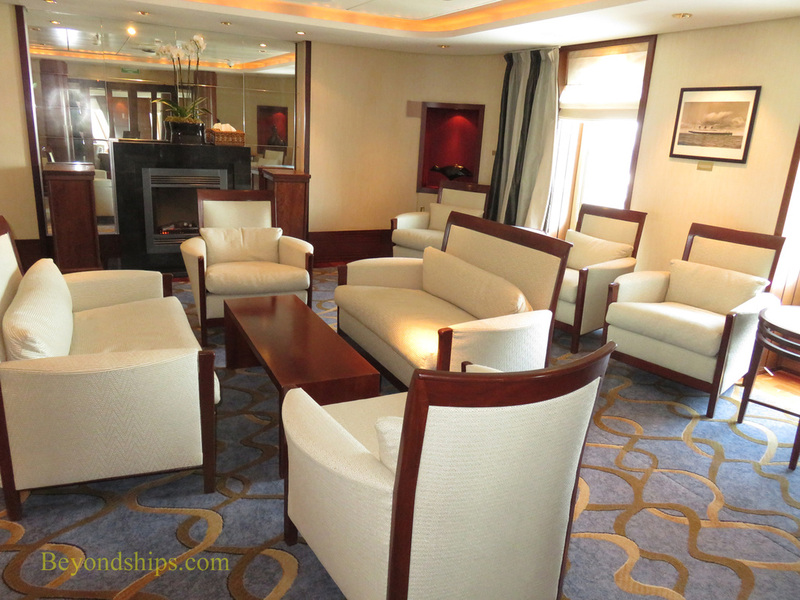 The room also features the world's largest model of QM2. 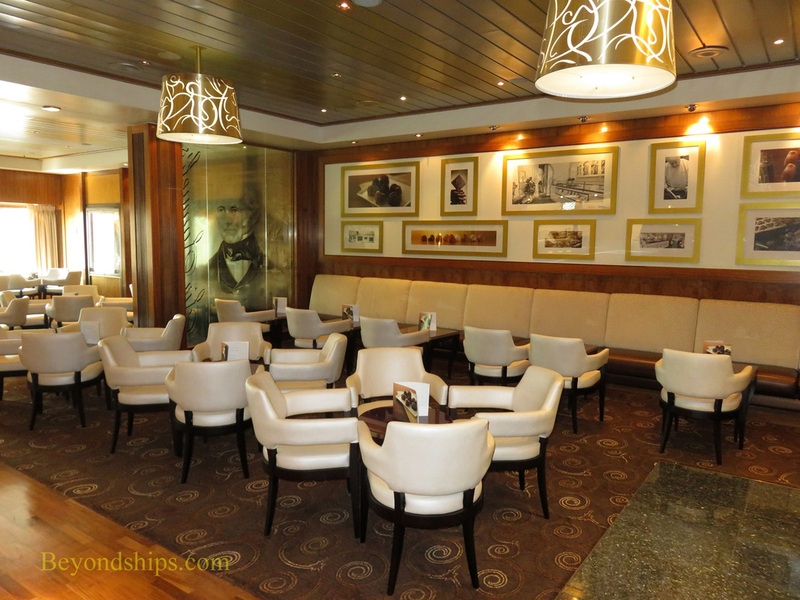 Adjoining the Commodore Club on the starboard side is Churchill's Cigar Bar (below left). 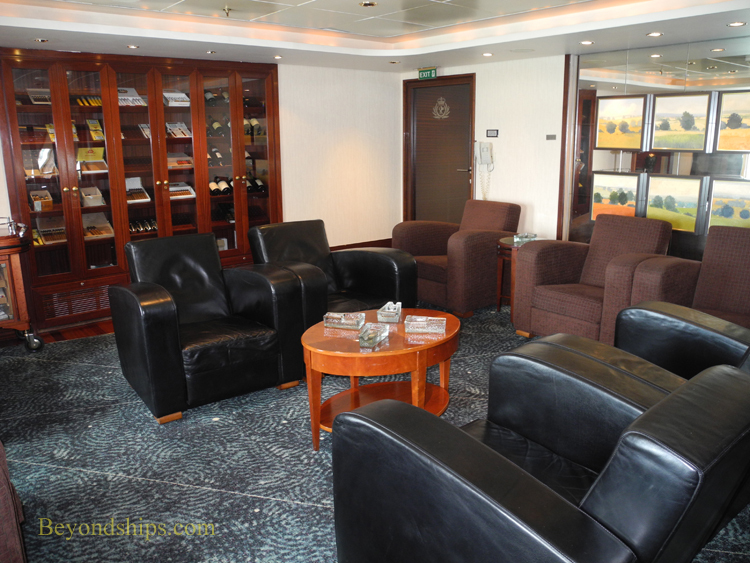 On the port side is the Boardroom, a separate room that opens out to the Commodore Club. 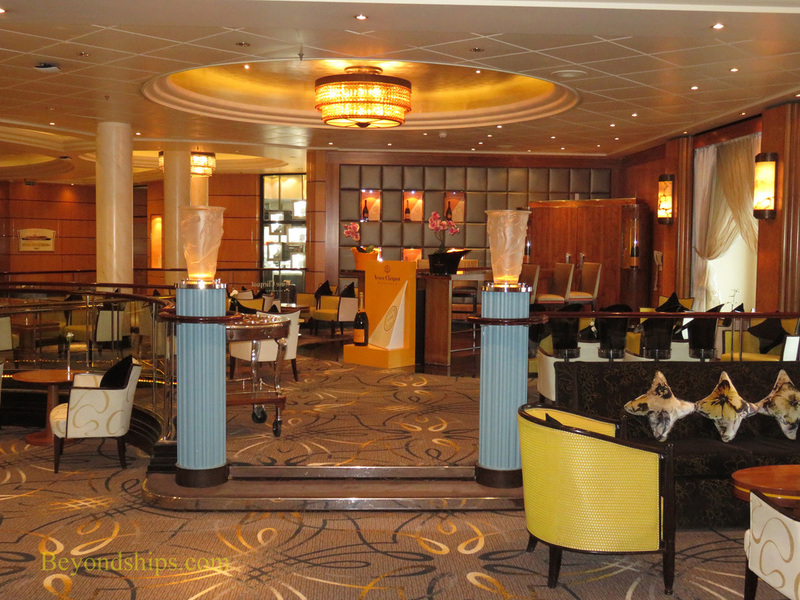 specializes in the champagnes of the renown French champagne house and has a menu of caviars and other similar delights. 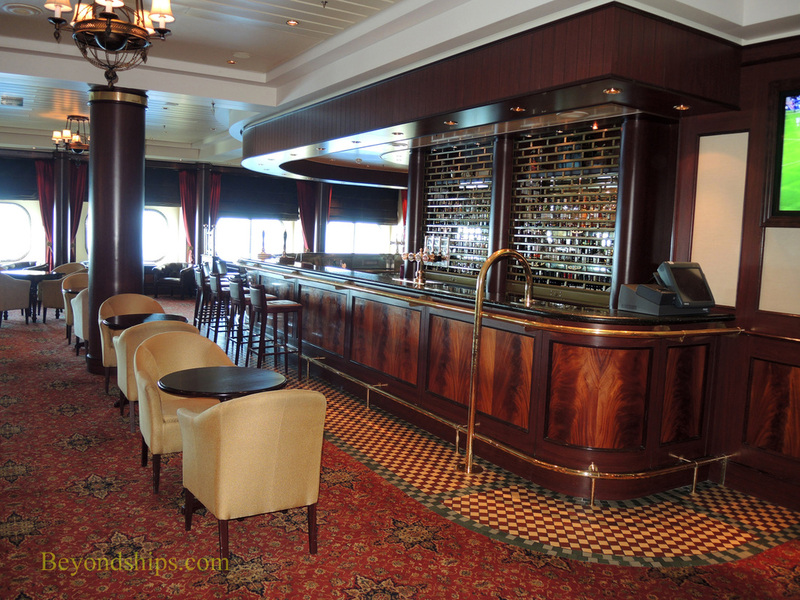 Sir Samuel's, named after Cunard's founder, is both a wine bar and a specialty coffee bar with pastries. 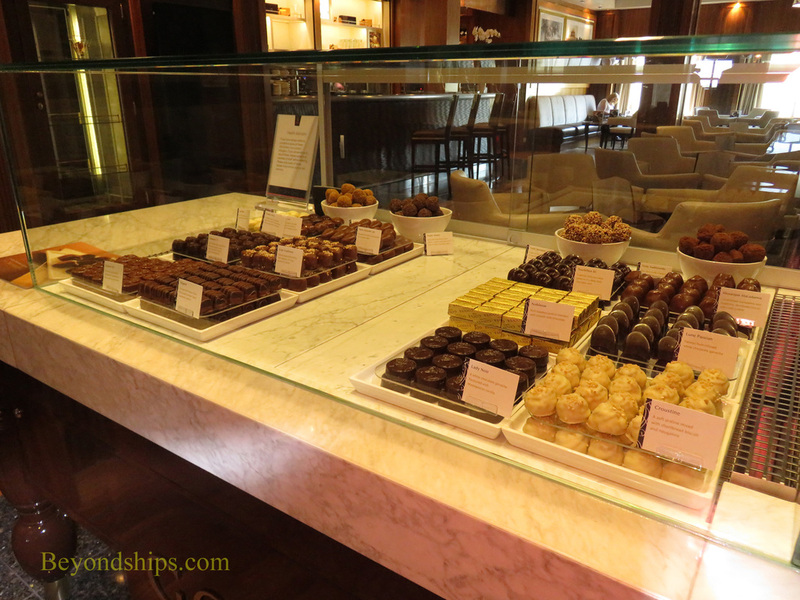 In addition, it now features Godovia chocolates. 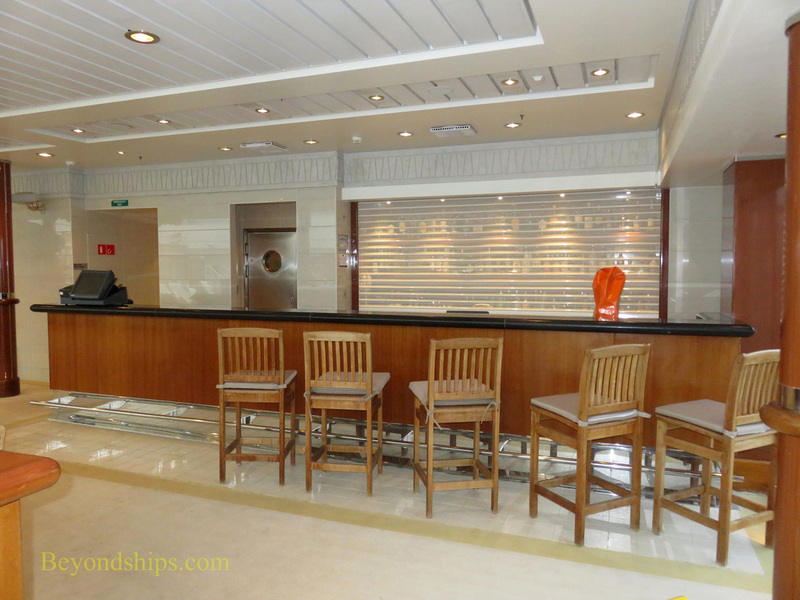 A traditional pub sign and a British letter box mark the main entrance to the more informal Golden Lion Pub on Deck 2. 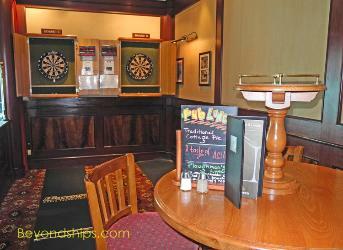 It is home to such pub-style entertainment as dart competitions and trivia games during the day and offers several choices of pub food for lunch. 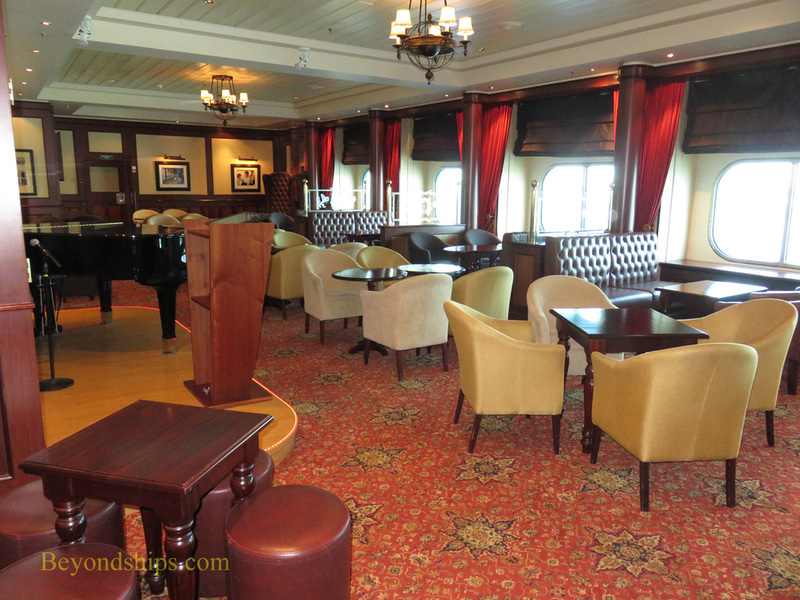 In the evenings, there are quizzes, karaoke and/or a singer/pianist. 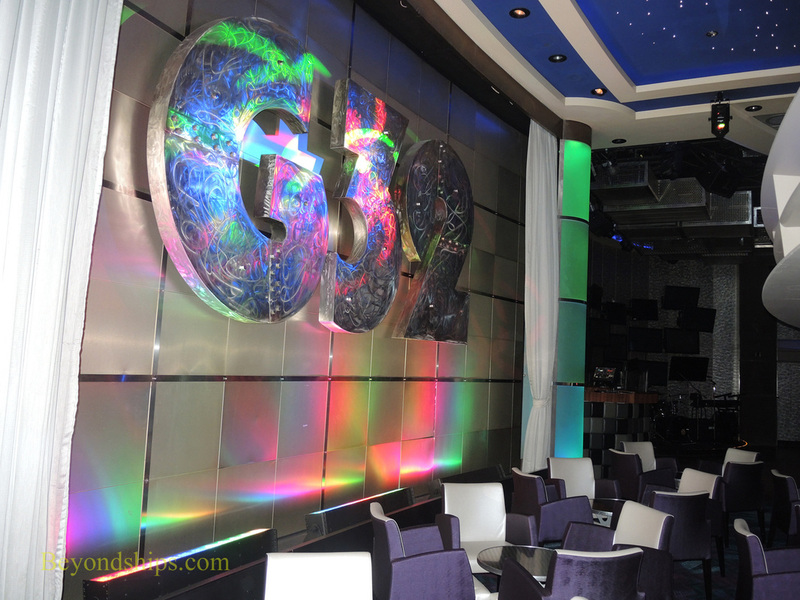 G-32 is the ship's two-story nightclub. 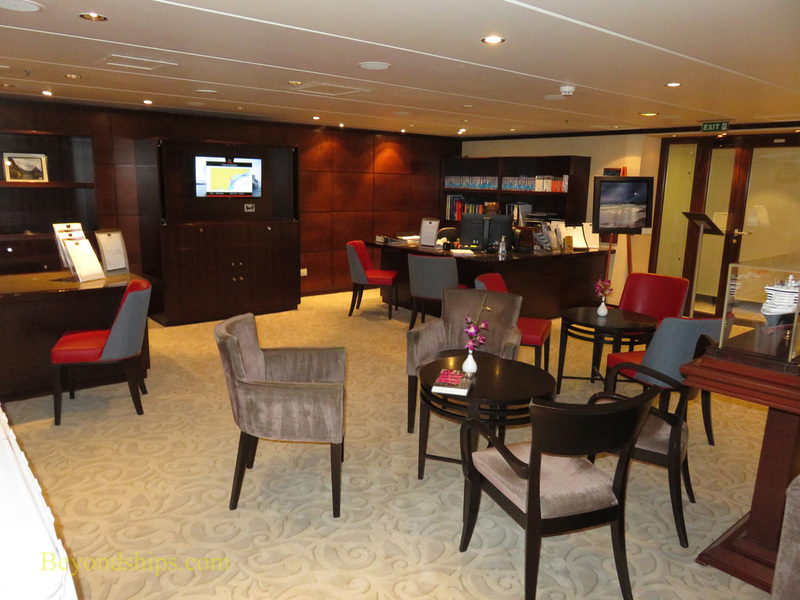 The name comes from the number the shipyard assigned to QM2 when she was being built. 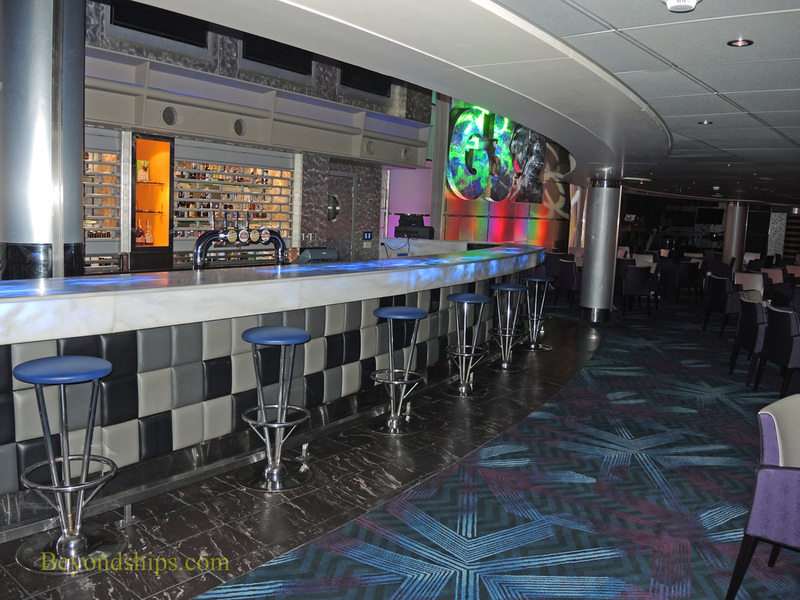 This follows in the footsteps of QE2 where the original nightclub was named after QE2's shipyard number. 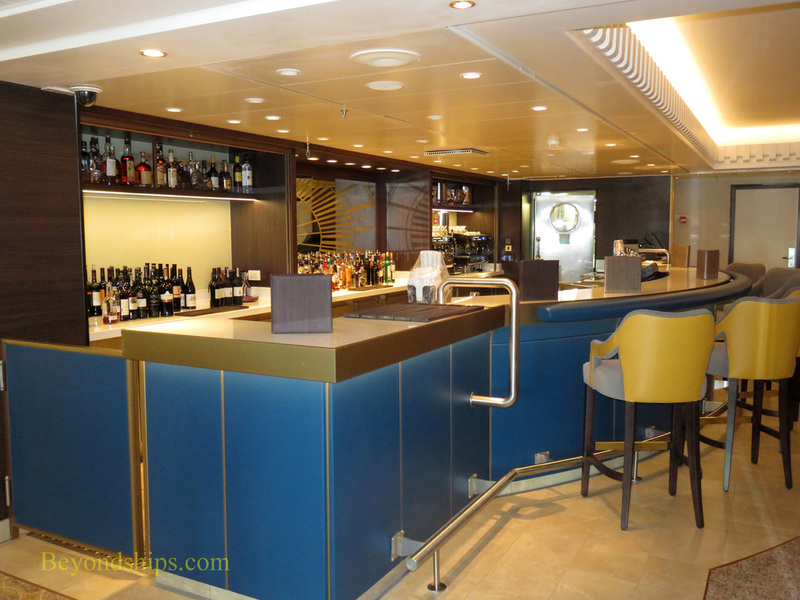 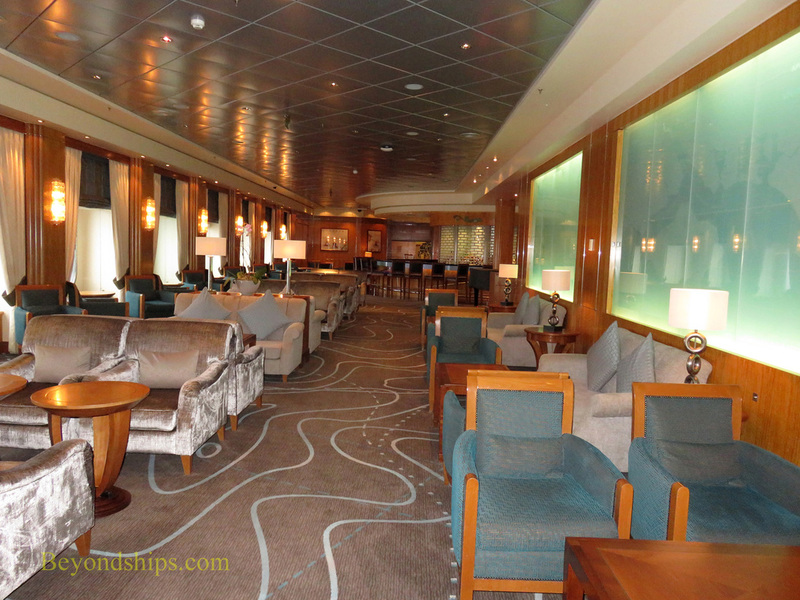 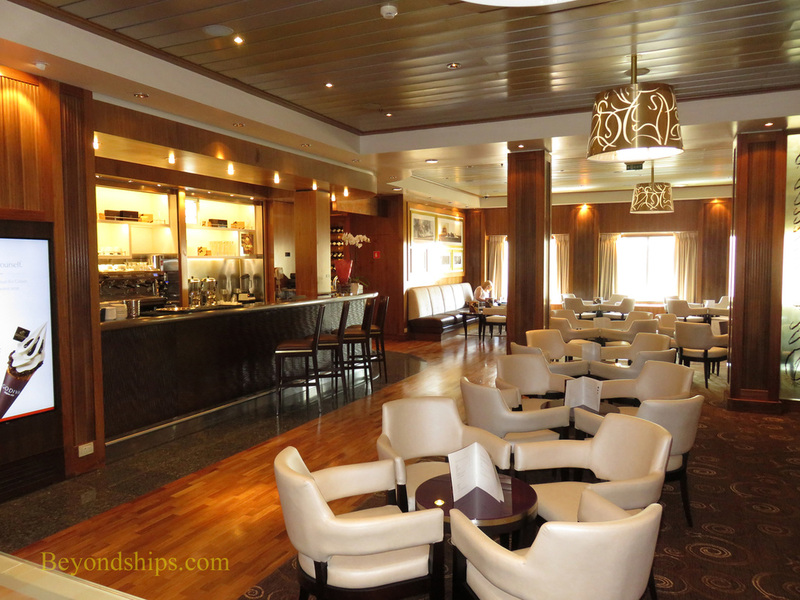 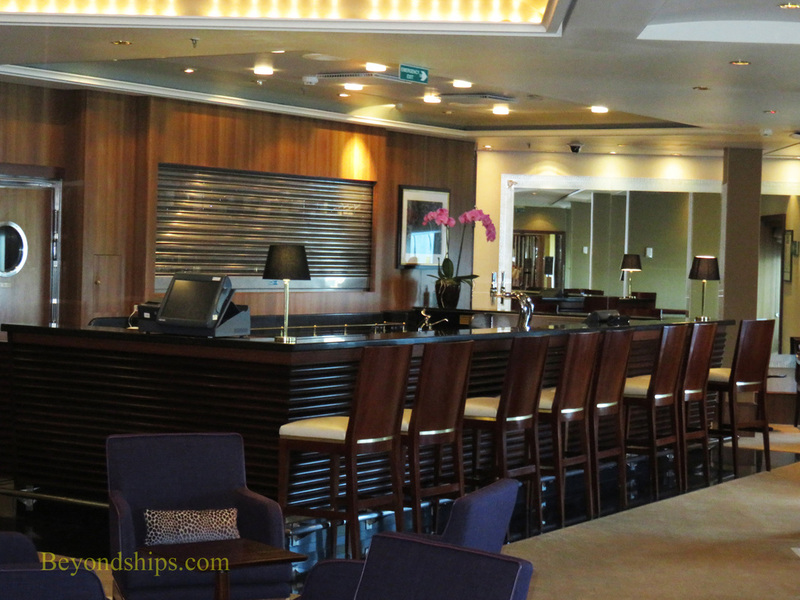 The Carinthia Lounge on Deck 7 is both a lounge and an eatery. 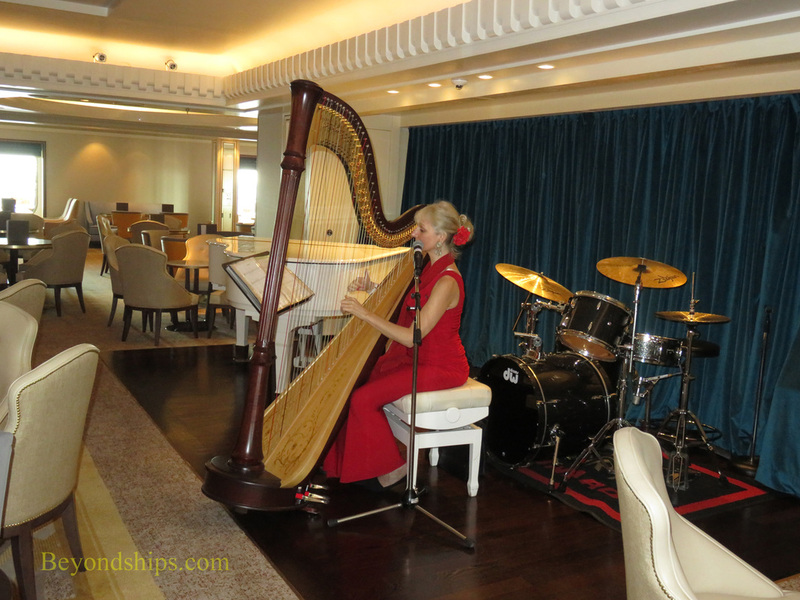 The lounge features live entertainment including music and poetry readings. 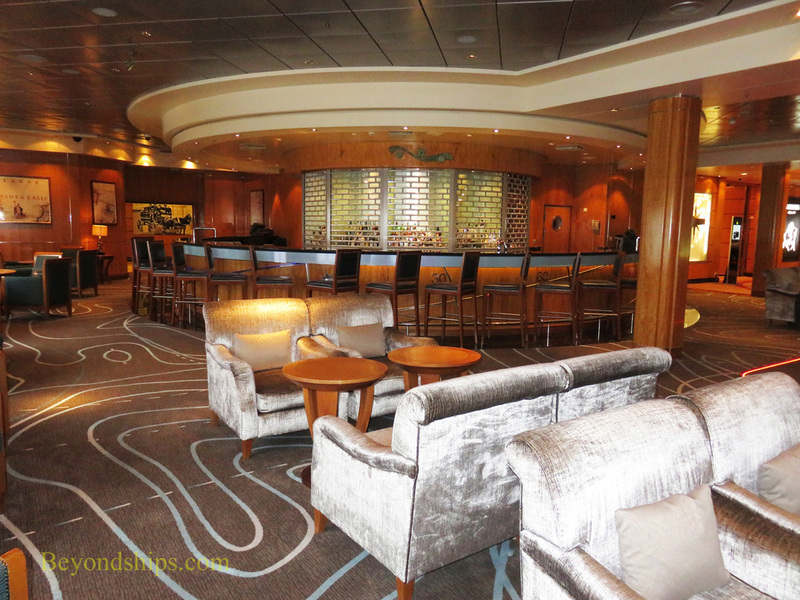 This lounge replaced the Winter Garden in 2016. 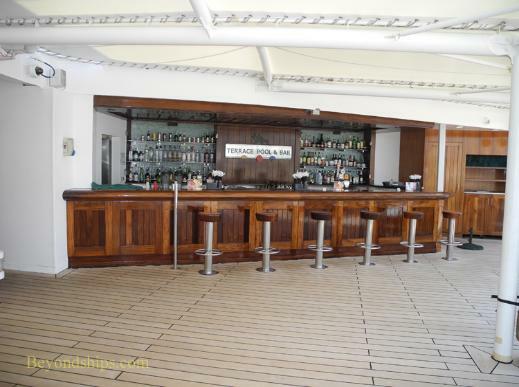 The Pavilion Bar (above left) serves the indoor pool area on Deck 12 while the Terrace Bar serves the outdoor pool area on Deck 8.